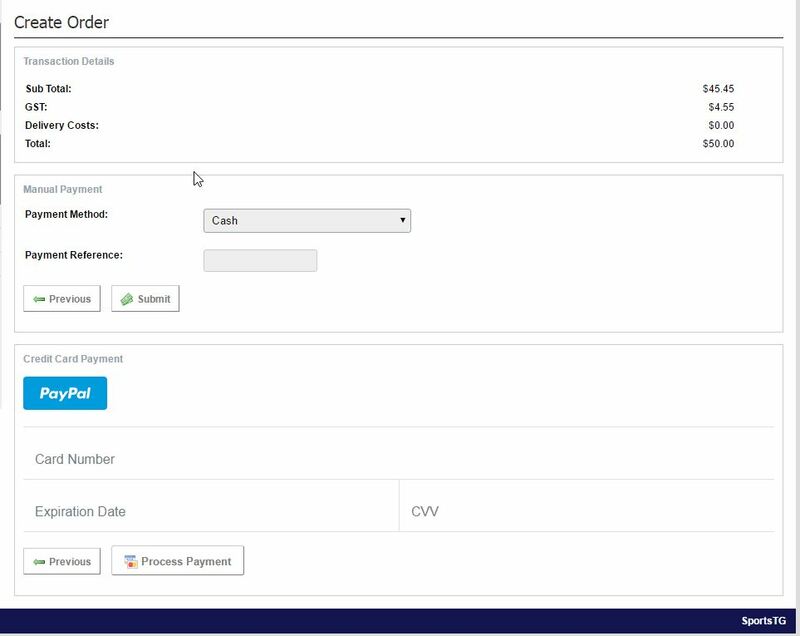 The Shop module allows you to Create Orders within the Management Console for any orders for your store that may have been received over the phone, in person or via mail. 2. Select Create Order from the expanded left menu. 3. Select the Customer Type from Blank Order, Current Member (to create an order for a member from your database) or Previous Order (to use a customer's details from a previous order), then click Next. If you have selected Previous Order, enter the previous Order Number, then click Create Order. If you have selected Blank Order, complete the customer's details, then click Create Order. If you have selected Current Member, search for the member, then click the Select Member (chain link) icon. 4. Click on Items next to the order you are creating, then select the product that you wish to add to the order. 5. Continue adding items until you have completed the order. 6. Click Pay, select the Delivery Option, then click Next. 7. Enter the customer's Credit Card details, then click Process Payment. Note: Creating an Order in the Management Console allows you to track those orders that may have come from a different method than online so that you can ensure that your stock levels are always accurate.